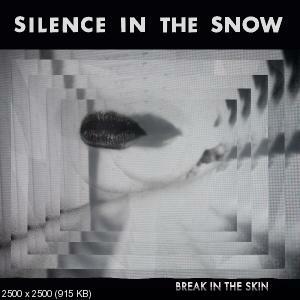 Oakland, CA, dream-pop band Silence in the Snow is proud to announce their debut album, Break in the Skin, due out LP/digital November 1, 2016. A brooding collaboration between Cyn M. (vocals, guitar) and Andy Z. (organ/synthesizer/beats), the record hangs heavy with melancholy and atmosphere. Each track exists in its own shadowy space, with a unique and cohesive blend of styles described by the band as "melt dreams." Shimmering first single "Into My World" cries into the ether, while more insular songs like "Lost Gems" and "20 Years" dive deep into their own emotional landscapes, tangled in chorus and delay. Break in the Skin was tracked with an emphasis on first/second takes and a live feel by Skot Brown (Alaric, Altar de Fey.) Says frontwoman Cyn M.: "I wanted to move our sound in a dark, ethereal direction. I've also returned to playing guitar after not doing so for several years (while focusing on post-punk project Malditos). Above all, we wanted to capture the essence of the song, with the same minimal setup we use to perform live." Звучание - как доктор прописал! И материал в целом не подкачал: песен 5-6 просто хорошие, а "Into My World" - и вовсе полноценный хит. Кстати, очень надеялся, что "Into The Night" окажется кавером на песню из саундтрека к "Твин Пиксу", ибо по стилистике она вписалась бы в альбом просто замечательно. Но увы!